Before we begin I just want to say this article contains spoilers. I analyze some of the main plot points of the story in great detail. If you’ve yet to read or watch Cardcaptor Sakura and want a completely unspoiled experience then I urge you to come back to this post when you’re ready! Thanks! When it comes to Cardcaptor Sakura, I can clearly say I’m smitten. I am the worst kind of fanboy when it comes to the manga group Clamp, and Cardcaptor Sakura is the cream of the crop for me. I’m sure most fans of manga or anime have at least seen some sort of Sakura in one way or another. You may have seen a screencap here, fan art there, or manga of some sort pop up in your favorite nerdy hangout spots since Cardcaptor Sakura is one of the most popular shoujo series out there. If you haven’t delved into the world of CCS , then never fear, I can get you up to snuff when it comes to our magical girl in question. 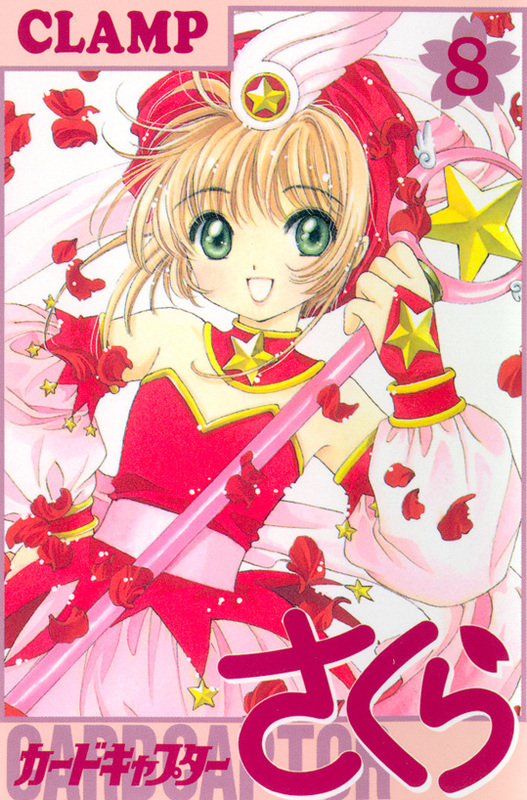 Cardcaptor Sakura was released in manga form by Clamp, an all-female manga group, in May 1996. Clamp had been around since the 1980s and was already established in the world of manga for works such as Captain Tsubasa, Saint Seiya, Tokyo Babylon, and Magic Knight Rayearth. When Rayearth was nearing completion, Clamp was asked to do another series of manga. After much deliberation, Clamp decided they wanted to do a magical girl series that their readers could relate to. At the time, their biggest demographic was elementary and middle school girls, so Clamp eventually decided on a story that would include many struggles their readers might have been facing at this transitional point in their school and home lives. Production began soon after and Sakura became somewhat of a Clamp staple and one of their most recognized series. 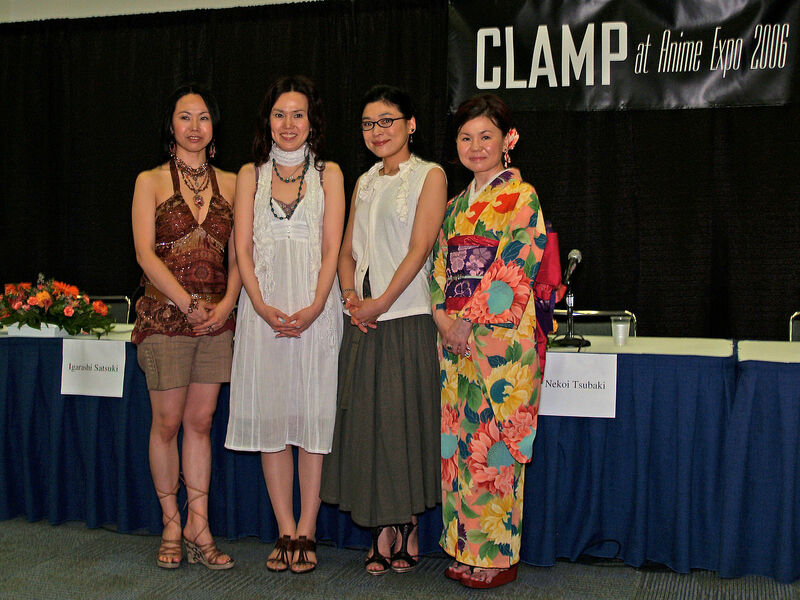 Clamp at Anime Expo 2006. 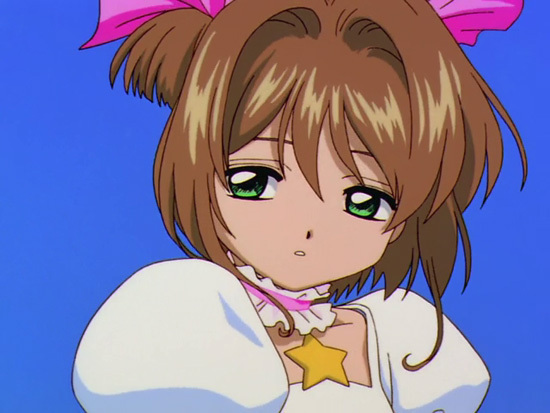 CCS‘ story revolves around main character ten-year-old Sakura Kinomoto. Sakura is the youngest member of her family and attends Tomoeda Elementary School. Our heroine begins the series as a very normal ten-year-old girl who is popular among her classmates, gets decent grades, excels at sports and has household chores to keep up with. Sakura lives with her father, Fujitaka, who is an archaeology professor at the local college, and her brother, Toya, who attends high school next door to Sakura’s elementary school. Sakura’s mother, Nadeshiko, died when Sakura was only three years old. Nadeshiko’s death is a recurring event in the series because the story as a whole tackles themes such as love, relationships and coming to terms with situations beyond your control. But, we will go over this shortly. At the beginning of the series, we follow Sakura as she has a typical day at school. Upon returning home she has to cook dinner and do family chores. While cleaning the basement, where her father keeps his archaeology artifacts, she stumbles upon “The Book of Clow.” When she opens the book she is knocked backward by the force of the magic cards stored inside. The cards fly wildly and escape from Sakura’s home. Sakura rightly has no idea what to make of this until she’s confronted by Cerberus, the beast of the seal, and is informed of the gravity of what her actions have done. Cerberus, nicknamed Kero-chan, is weak due to the absence of the Clow cards. He is powered by the element cards of fire and earth. There are 52 cards that Kero-chan tasks Sakura with collecting but Sakura refuses. He then explains that with the cards loose, the Earth is doomed to a horrible fate. 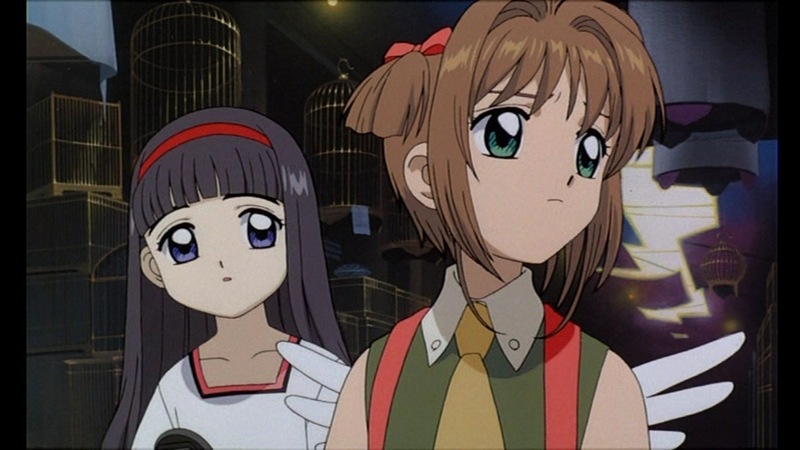 Sakura still refuses his request until she witnesses for herself what the cards can do, so she begrudgingly agrees to become the appointed Cardcaptor. The one thing I really enjoy about this series is that the Clow cards themselves aren’t just some unexplained magical MacGuffin that powers the story along and gives Sakura purpose, unlike some other magical girl series. From the very start, the origin of the cards is presented. The cards were created by an eccentric magician named Clow Reed. Clow Reed was the greatest magician in the world before his death, and each card represents something Clow Reed’s ideas embodied. The cards themselves can be used for attack and defense, such as The Windy, a wind element card, or The Shield, which is a protection card. Clow Reed also made cards such as The Song and The Flower which produces song and flowers respectively, which at an initial glance seem useless but Sakura uses these cards throughout the series to strengthen relationships. Clow Reed also created Cerberus, and the later Yue, who is another guardian of the Clow cards. 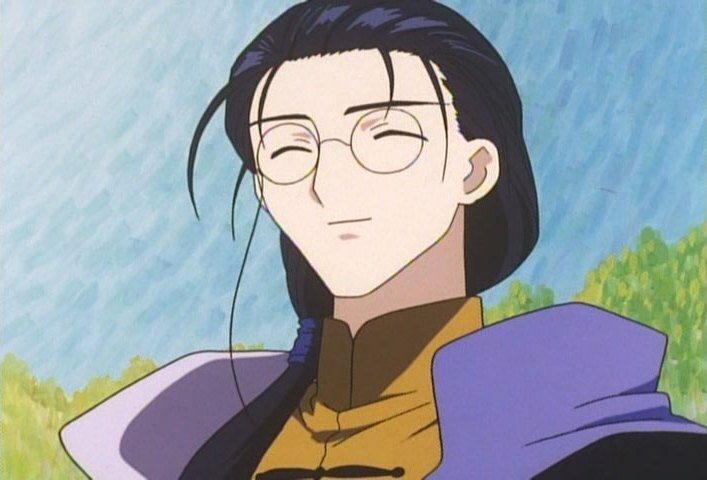 Both Cerberus and Yue have a tremendous amount of love and respect for Clow Reed. Clow Reed from Cardcaptor Sakura. As stated before, love and relationships are a huge part of what Cardcaptor Sakura represents. Also, what do you think a typical girl around Sakura’s age is dealing with? Ding ding ding, that’s right! Girls typically at this age are falling in love, having crushes, trying to maintain positive relationships with friends and family, and dealing with life on a daily basis in this awkward time in their lives using the skills they process to the best of their ability much like the skills Sakura obtains from collecting the loose cards. Slow clap deserved for Clamp for personifying this crucial time in every child’s life into something fantastical yet relatable! 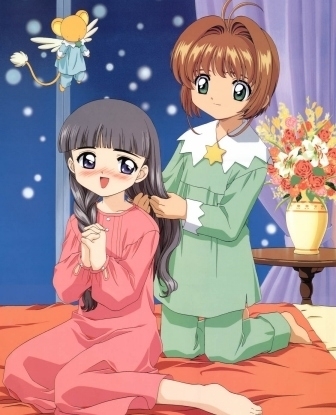 Another part of the series is Sakura’s relationship with her best friend Tomoyo. Tomoyo has an undying love for Sakura and is her biggest form of support. Tomoyo has no magical ability but documents Sakura’s actions on camera and makes her magical girl costumes. Tomoyo’s actions definitely represent a borderline romantic love and not just friendship. However, Tomoyo is very mature for her age and realizes that she cannot ever be romantically involved with Sakura, but continues to always be there for Sakura in her time of need. Clamp never specifically puts conflict between Sakura and Tomoyo, but they use Tomoyo as a source to drive Sakura’s ambitions. Tomoyo’s safety is often placed in danger because of the Clow cards, and Sakura must fight to protect her best friend. This plays largely into Cerberus’ warning that the cards will bring a horrible fate onto the world. Sakura, Tomoyo, and Kero-chan having a pajama party. Sakura also has to deal with a confusing relationship with an older man. It comes to light that Sakura is deeply in love with her brother’s best friend, Yukito. 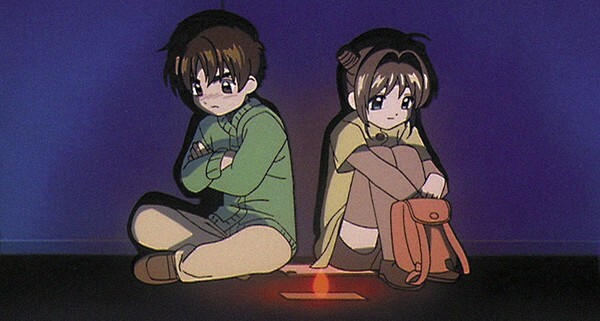 Yukito’s existence plays an important role in this series as a whole, and Sakura has to come with terms that her love is infatuation and for the wrong reasons. This ends up being very painful for her towards the end of the series. Much like many of us growing up, we have misdirected feelings for those around us. This hurts but ultimately serves as a form of growth in our lives. CCS also introduces Syaoran Li. Li-kun is a bloodline descendant of Clow Reed and is also trying to collect the Clow cards. He serves as Sakura’s rival for most of the adventure. However, toward the latter part of the series a relationship between the two grows. Sakura interprets this relationship as his friendship. However, romantic love is brewing in young Li’s heart. As the two begin working together more to collect more cards it creates a really uncomfortable dynamic between the two, but in a good way. You really start to feel for Li and his heartache for not being able to tell Sakura his true feelings. Li-kun wanting to tell Sakura his feelings. The anime can be pretty comical, but it will suddenly whip you into a deep dark alleyway in seconds flat with all these themes it brings to the table. It is not uncommon for characters to start crying in a lot of the episodes. One notable thing about this anime is it has a lot of filler. This is not uncommon for anime in the mid to late 90s, and each episode usually ends with Sakura capturing at least one card. The initial anime had a 70 episode run. This isn’t too bad of a length, and Sakura ends up collecting all the Clow cards by the 45th episode. I like to think that the first 45 episodes are representative of Sakura’s childhood. This is her transitioning from childhood to becoming a more mature person, like a growth spurt. Episodes 46 through 70 focuses mostly about her becoming her own person. The way these episodes represent this is by having the Clow cards unable to connect with Clow Reed’s magic and spirit due to Sakura’s actions. They are becoming just normal, non-magical, cards and in order to save them, Sakura needs to become her own magician. Each one of the episodes in the later part of the story shows Sakura transforming them from Clow cards into Sakura cards. She’s no longer piggybacking off Clow Reed, she is now liable for the choices she makes. Many of us went through this as we grew during Sakura’s age because we stopped falling under our parent’s identity and we became our own people with our own identity. I just really love this series. At first glance, it seems like it would be just a standard magical girl series full of fluff, but it’s so much more than that. CCS brings up important commentary regarding what it is like to grow up during one of the most crucial points in our lives. Clamp did an amazing job of executing this feeling in an art form and I feel that you owe it to yourself to dive into Sakura’s world! 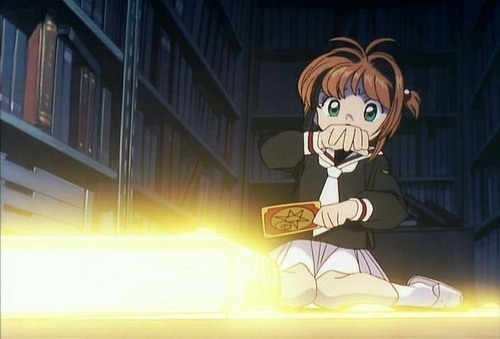 On that note, I will say that Cardcaptor Sakura did have a run on American television. If you choose to watch the anime, the English version does some weird things like leaving a few episodes out. The localization teams for Sakura also changes a lot of the character’s names to English names. They Americanize a lot of the show with rewrites, so it is suggested that you should watch the Japanese version with English subtitles to get the real experience. Plus, this is just one of those series where the English voice acting is terrible, like a lot of anime from this time period. The manga is safe from such edits, though, so it’s really your choice on how you’d like to enjoy CCS. Thank you so much for reading! I did leave a few things about the series out like the relationship Sakura’s father had with her mother. Also, I left out the paranormal undertones that fuel the series with Sakura’s brother, Toya. Not to mention how I would go so far to say that Clow Reed really is the main character of the story, but I’ll let you come to a conclusion of that yourself! I feel that these plot points are best experienced with the series as a whole. Plus, CCS has a couple of movies, too! The movies go along with the everything pretty well, so I definitely can recommend them if you haven’t seen them. There is a new Cardcaptor Sakura in the works, what do you think about that? Let me know in the comments!